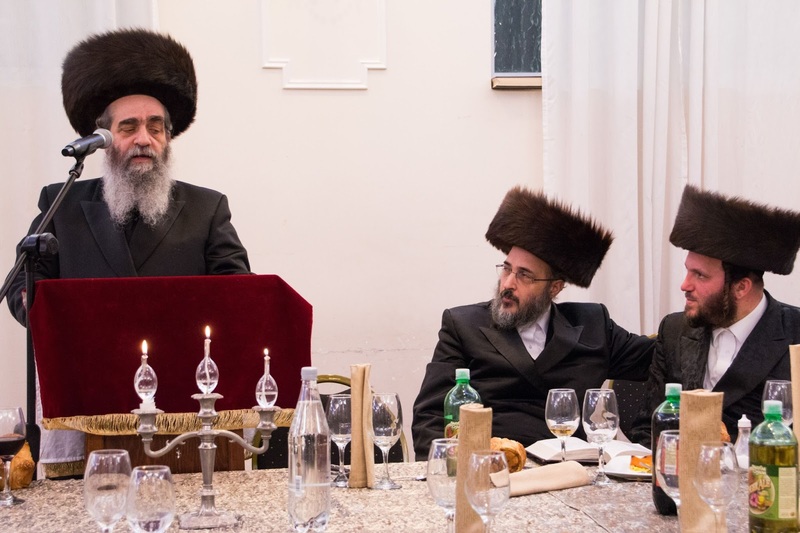 This past Motze Shabbes the Stamford Hill neighbourhood merited the great privilege to be part of the first seeds, laying the foundation for Keren Dovid Hamelech. This great cause will endeavour to save the holy site of Kever Dovid Hamelech and Malchis Beis Dovid in Har Tzion. The Mokom Kodosh is in imminent danger of being taken over Chas ve-Shulem by foreign hands, who sadly still own 60% of the surroundings areas. In a last-minute effort, two emissaries were sent to London. This decision was taken by the great Rabbis in Yerushalayim, spearheaded by Hatzadik Rabbi Yitzchok Meir Morgenstern and Rabbi Amrom Oppman, Dayan at the Eidah Hachareidis. 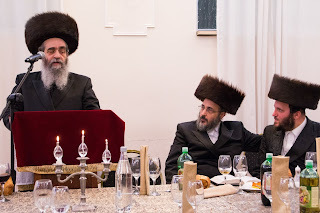 The two activists, Rabbi Shimon Schnitzer and Rabbi Chaim Meir Steinmentz, work around the clock to make the Kever a more welcoming place by running Kollelim and minyonim throughout the day and a Kollel Chatzos that recites Tehillim every night, followed by Shacharis with a Minyan Vossikin. The idea is to create a fund that will be overseen by a team of professionals such as lawyers, accountants and antiquities advisors, who will enable them to safeguard the legal status of Kever Dovid as a heritage site of importance to Klal Yisroel. One of the ideas floated is to run a regular shuttle service from Meoh She’orim to Har Tzion, to increase the flow of visitors to the holy site. The grand Melave Malka took place at the Czortkow Beis Hamedrash, adjacent to the South Tottenham & District United Synagogue in South Tottenham. A beautifully catered meal with the finest dishes Keyad Hamelech awaited the hand-picked guests, who were fully informed with a report of the daily happenings at the holy site. The special guests where surprised to hear how the two Gabbo-im have actually dropped their own businesses and have volunteered their time for the past few years, to save the site. 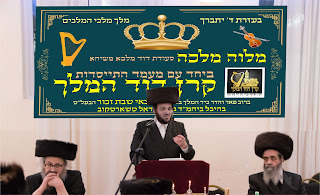 The Rov of Czortkow, Rabbi Chaim Michoel Biberfeld also honoured the participants with a Drosho on the importance of this holy cause. 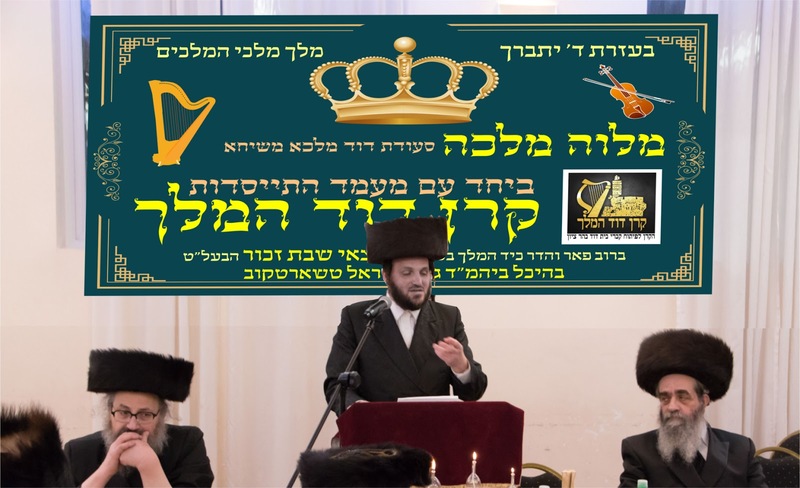 He implied that there is a Choyv Kodoysh on each one of us to give honour to Dovid Melech Yisroel, who authored one of the most used Seforim in Klal Yisroel and support this cause that is backed by Gedolei Yisroel.